Mobile phone is the most common object on Earth. It's the most used mean of communication, untinl now over 8 billion mobile have been manufactured. If nothing is done, in 2015 there will be 15 billion. 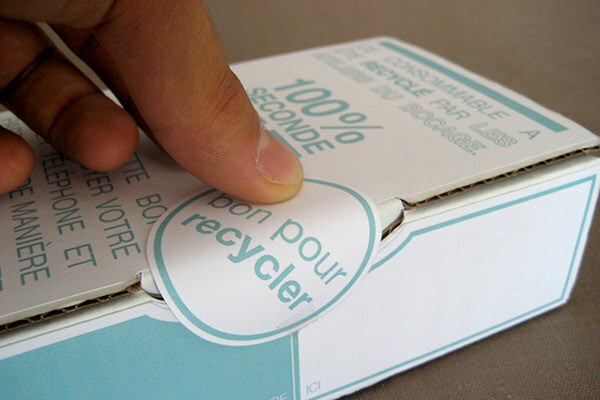 This project is my professional work of my 3rd year degree in product design & packaging ; of course it is not intended to save the planet but at least to make the first step towards recycling. WHAT ABOUT OLD MOBILE ? HOW TO ENSURE THAT OLD MOBILE GET OUT OF THE DRAWERS ? I have met in France, Les Ateliers du Bocage, an inclusive society related to the EMMAÜS movement. They recive about 35000 mobiles per months and recycle 30% of them. They collect, sort, test, reset, unlock and finaly repackage them. 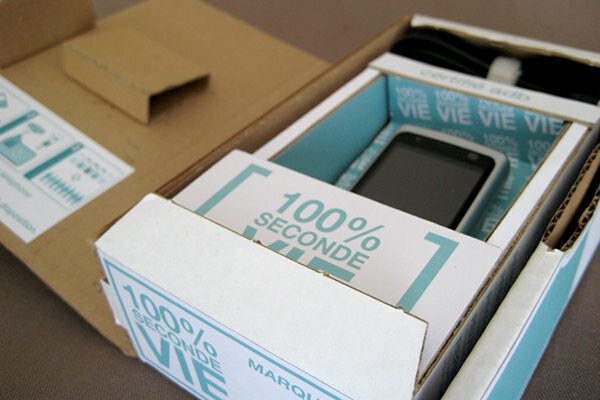 Thoses reused phones are sold to organization or to private person online or on the site. Pictures by Elodie Guignard. So I propose Les Ateliers du Bocage (The adb) to get more old mobile by offering a pack that can make the round trip beetween them and the user. 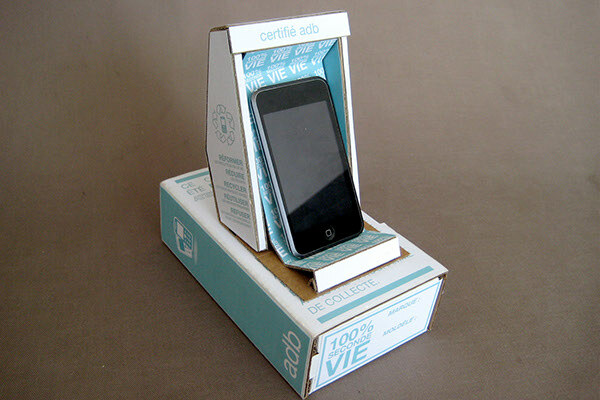 Moreover it will allow them to be present in store thanks to a stand packaging inside. This project is actually in progress, it will be reduced to a basic version.